Reservations for the new Be Our Guest Restaurant opened up at 7:00 AM on 8/20/2012. Phone lines became instantly jammed with hold times exceeding one hour, if you could even get through at all. Many people reported redialing in excess of 100 times before getting through. Even after all that effort, there were a number of people reporting that their call was dropped. To make matters worse, the automated system was not asking for the credit card needed to make the reservation. Cast members then stated that all reservations lacking a credit card would be automatically cancelled at midnight. A few hours later they had figured out a way to add this information to an existing reservation without cancelling and rebooking. This of course caused the phone lines to be jammed beyond capacity yet again. In the end, Disney decided to waive the credit card guarantee. Disney Cast Members are now telling guests that anyone who made a reservation for Be Our Guest on 8/20/2012 and did not leave a credit card will not have their reservation cancelled. Anyone with a valid reservation number from today will have that reservation honored. As expected, Be Our Guest is now booked nearly solid for the foreseeable future. The arrival experience at Bay Lake Tower at Disney's Contemporary Resort is finally being brought in house. Beginning 8/20/2012, guests will able to check-in at the lobby of the Bay Lake Tower, and will no longer have to first go through to the main Contemporary building. Initially, only guests arriving by car or taxi will go directly to Bay Lake Tower. Those guests arriving by Disney’s Magical Express will continue to arrive at the main Contemporary Resort building. In addition to the lobby handling check-in and check-out, the Bay Lake Tower lobby will be able to providing dining reservations, recreation, ticket sales and planning assistance. The lobby front desk will be staffed from 7:00 AM to 10:00 PM daily. Typhoon Lagoon was the latest park to activate free wi-fi. Magic Kingdom was the first park to open free wi-fi and it is expected that the rest of the parks and Downtown Disney will be coming online in the future. 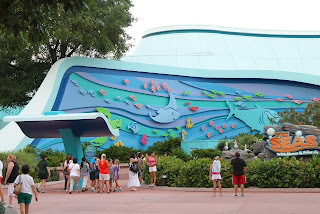 Due to road work, Epcot Resorts Boulevard will be closed in both directions at the Epcot water bridge until 9/1/2012. If you are heading to the Yacht and Beach Club Resorts, the only access will be from the Epcot Resorts Boulevard entrance by the Swan and Dolphin Hotel, and not the Boardwalk Inn side. 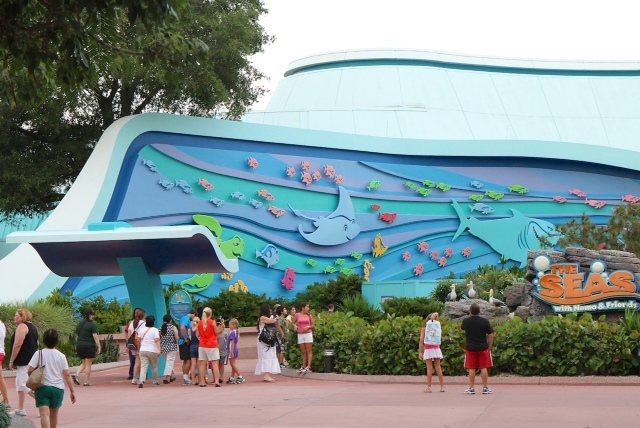 FASTPASS construction at the entrance area of The Seas with Nemo and Friends pavilion has been going on for the last few months. During this past week, another a curved entrance canopy was added. This canopy will separate the FASTPASS and standby lines, and also provide the wait time information. The third Annual Swan and Dolphin Food & Wine Classic at the Walt Disney World Swan and Dolphin Hotel returns on 10/12-10/13/2012, showcasing some of the top food, wine and beers in the world, along with informative seminars conducted by members of the hotel's award-winning food and beverage team. Highlighting the event will be the appearances of celebrity chefs Todd English and Michael Mina. The Disney Parks Blog has provided us with a video tour inside Maurice's Cottage in the new Fantasyland with Walt Disney Imagineers. Check out the exterior, the gardens, some of Maurice's inventions and the magic mirror that becomes the portal into Beast's Castle. 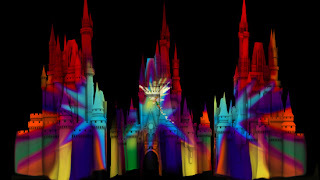 The Magic Kingdom is modifying its evening Extra Magic Hours line-up beginning 8/26/2012. Splash Mountain is being removed from the available attractions and being replaced with Walt Disney's Enchanted Tiki Room. Some reports are indicating this change is due to not being able to do proper maintenance on Splash Mountain on Extra Magic Hour nights. Disney has today confirmed that the new show that will replace The Magic, The Memories and You will open in November 2012 and will be called Celebrate the Magic. It will incorporate elements from the current show with all-new music, storytelling and special effects.